After a very frustrating Friday (and detaining myself inside the crampy room), Sunday was a breeze, thanks to the Cheese, who insisted to pay for everything. The movie and the merienda in Bubble Tea. 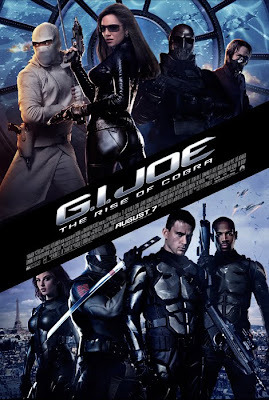 I did not expect to like GI Joe, I only relented because the Cheese wants to watch it. I didn't know them much because I never got to watch the show when I was a kid. Me and my cousins have places to see each afternoon after classes, we don't really stay in front of the telly unless it's the morning cartoon shows. Haha. So anyway, with all the nano technologies, super technologies, warheads and flying a blackbird, I quite enjoyed the film cos I didn't expect anything from it. And oh, I liked Scarlett not Duke.Not much of A Channing Tatum fan ever since.